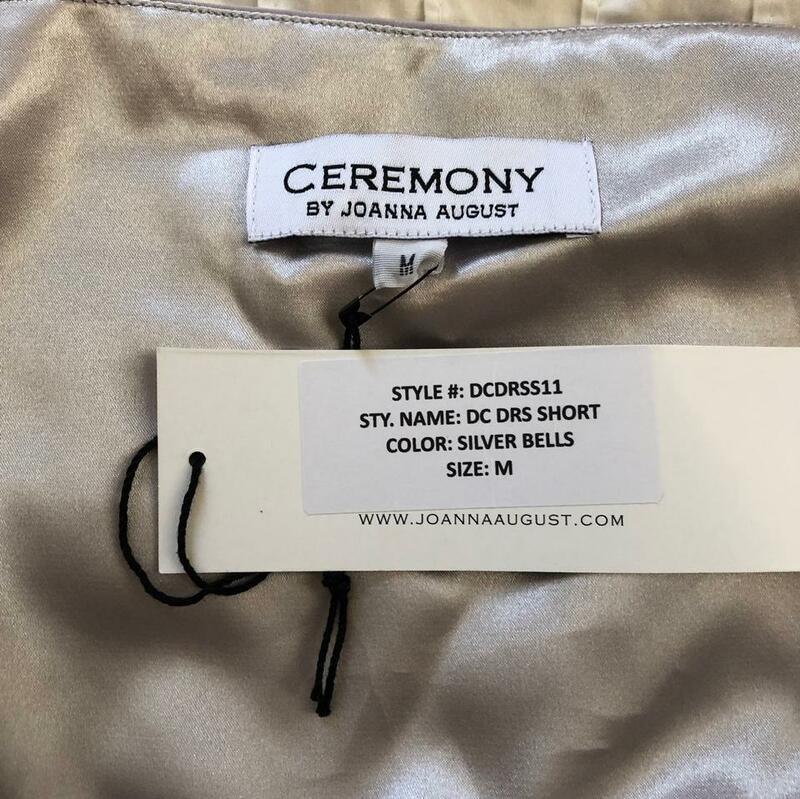 New with tags, never worn, Joanna August dress. 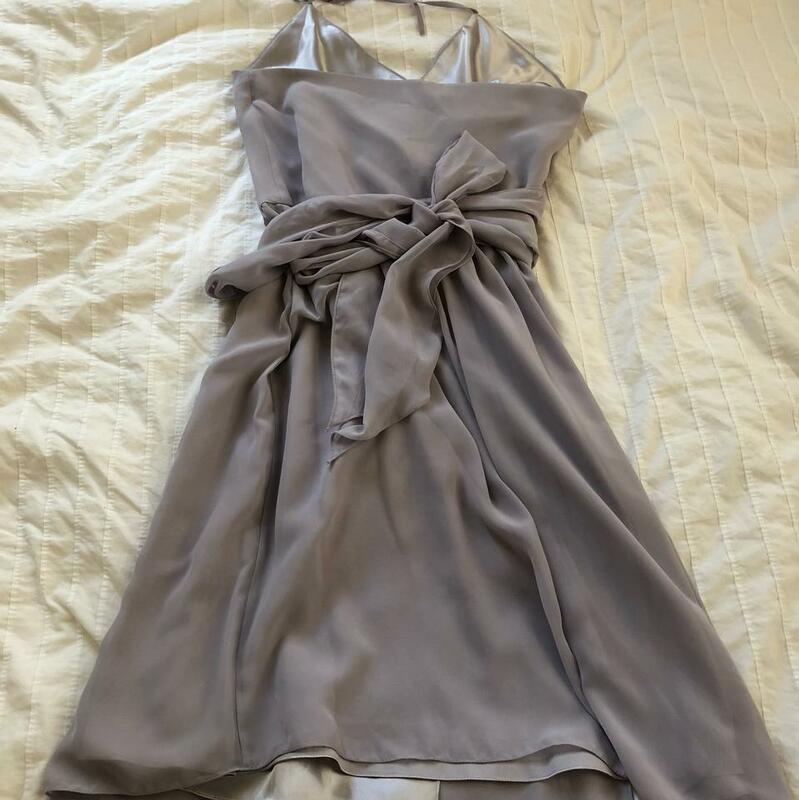 Dress style name is DC Short, wrap/halter dress, color- Silver Bells, size-Medium. Purchased for a bridesmaid dress but ended up not using it, never worn and no alterations, dress is in perfect condition!